Smalley Hoopster® Rings fit into shallower grooves than regular snap rings or retaining rings. Where retaining rings once were not an option because of groove depth, the low profile, precision circularity & small radial size allow Hoopsters to be unobtrusive components, ideal for thin wall tubes. Stocked from 3/8"-3" in carbon & stainless steel. The LC20 Caliper Motor is designed for integration in linear stages. Its extremely compact size and direct drive make it ideal for high-precision motorized stages. With this Piezo motor solution, it is possible to fit your complete motion system inside the stage -- no more bulky electrical motors and linear screws that are connected externally to the stage. Learn more about this exciting, new backlash-free Piezo motor. How do you collect data from stars thousands of light years away while positioning a 300-ton telescope to within a fraction of a human hair? You use a high-tech spectrometer called MOSFIRE, rotating on a very large Kaydon bearing. 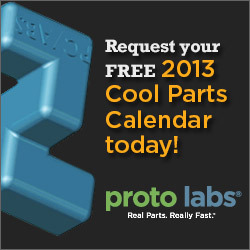 Whether you realize it or not, when you design a molded plastic part you are working at two levels. On the macro level you are creating a shape -- simple or complex -- that meets a variety of needs. At the same time, you are designing at the molecular level by your choice of resin or resin blend. igus has launched a new, heavy-duty plastic bushing that can withstand radial loads up to 11,023 lb/in2. Injection-molded, self-lubricating and maintenance-free iglide Q2 bushings are made from a completely new material blend that performs up to five times better than any other plastic bearing material the company currently offers. An iglide plastic bushing material exists for almost every application scenario -- even chemical-exposed, dirty, underwater, high-load, or high-temp applications. 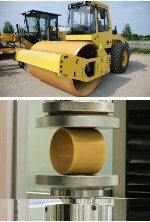 These bushings may well become your new go-to solutions for heavy-duty jobs. Contact sales@igus.com for iglide Q2 specs. Click here to learn more about iglide bushings. Progressive developmental improvements in stacker crane operation have made them one of the most efficient material handling systems in highly automated warehouses. Ticona Senior Applications Engineer Duane Emerson was presented the Best Paper award at the Society of Plastics Engineers (SPE) Automotive Composites Conference & Exhibition this past September. "Using unidirectional glass tapes to improve impact performance of thermoplastic composites in automotive applications" describes a study conducted by Ticona that looked at methods to increase stiffness/strength and impact resistance of an automotive underbody shield (UBS) by using continuous strand, unidirectional (UD) glass-reinforced thermoplastic composite tapes to produce woven fabrics and tailored blank laminates. Read this and other SPE papers here. 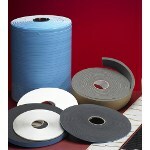 Pres-On has introduced PF-1400 low-density, closed cell polyethylene foam tape. A clean, waste-free alternative to liquid sealant, this industrial-grade tape offers excellent weatherability in a wide temperature range (0 to 140 degrees F), making it ideal for the assembly of doors, windows, and cars, as well as for contractors who install HVAC equipment. PF-1400 provides long-lasting sealing, insulation, sound dampening, and cushioning. PF-1400 is coated on one side with a high-tack pressure-sensitive rubber adhesive protected by a paper release liner. The adhesive will bond to virtually any clean substrate, including irregular surfaces where it conforms to shape a positive seal. Exlar has expanded its K Series line of electric linear actuators with the new 90-mm frame model. K Series actuators offer Exlar's roller screw technology in varying performance levels and allow you the flexibility of choosing Exlar or other manufacturers' motors. Featuring dimensions and form factor consistent with ISO metric pneumatic cylinder specifications, K60 or K90 actuators provide an excellent replacement for pneumatic and hydraulic actuators. 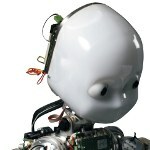 The more human-like a robot is, the more sophisticated the mechatronic engineering input necessary. Microdrives are often central to providing robots the means to exhibit "body language." DARPA is calling on experienced design engineers and students alike to collaboratively design elements of a new amphibious infantry vehicle, the Fast, Adaptable, Next-Generation Ground Vehicle (FANG). On October 7, 2012, NASA's Commercial Resupply Services (CRS-1) mission lifted off from Launch Complex 40 at the Cape Canaveral Air Force Station carrying a batch of real frozen ice cream as a surprise for the three-member crew onboard SpaceX's Dragon cargo capsule. BellowsTech edge-welded metal bellows are used to seal the door of NASA'a special cryogenic temperature chamber. Why not use a rubber or plastic seal? 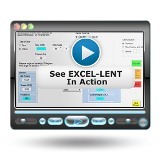 Developed by leading experts in gear design, EXCEL-LENT software from Excel Gear provides a quick-and-easy way to optimize your gear designs with minimal input. Users can optimize rack-and-pinion, spur, helical, internal, external, and circular pitch gears in English or metric units. The gear/gearbox design software quickly determines product parameters for various applications, saving hundreds of engineering hours. This software has been written by engineers who also design and manufacture gears for their own use. Video is on right-hand side. 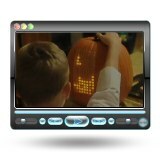 Pumpkin "hacker" Nathan Pryor is the creator of Pumpktris, a fully playable version of Tetris built into a real pumpkin using 128 LEDs for the display and a joystick-stem game controller. As reported on CNET, "Pumpktris took 12 hours of work, 256 pieces of heat-shrink tubing, and 313 solder joints to complete. So far, the top score is 9,800 points." A link to Pryor's instruction page is under video.